BOSTON, MA--(Marketwired - December 13, 2016) - Blockchain first came to prominence with the cryptocurrency bitcoin, but the idea is spreading to industries beyond finance -- and the energy industry is an early leader, according to Lux Research. A distributed technology hailed for impregnable data security, blockchain has made waves in the financial industry over the past several years. Now the electrical power industry is showing how it can be creatively used outside finance, in three distinct use cases -- managing wholesale transactions, peer-to-peer networks, and renewable credits. "Power is a logical use case for a few reasons: units of power and energy are a strong fit for so-called smart contracts based on blockchain, and meters can feed data directly into blockchain logic," said Katrina Westerhof, Lux Research Analyst and co-author of the report titled, "Beyond Finance: Blockchain's Impact on the Power Sector" (an excerpt of the report is available here). "Power also relies on cumbersome trading and clearing systems to support complex markets, and blockchain can help create a leaner distributed system that can cut out intermediaries and associated fees," she added. Smart contracts add real value. Ethereum and Hyperledger, the two largest blockchain platforms other than bitcoin, both provide native "smart contract" functionality. This feature allows users to program contractual terms directly into the blockchain, which can automatically execute contracts and release escrow funds, cutting out middlemen and settlement fees charged by clearing houses. Challenges lie ahead. 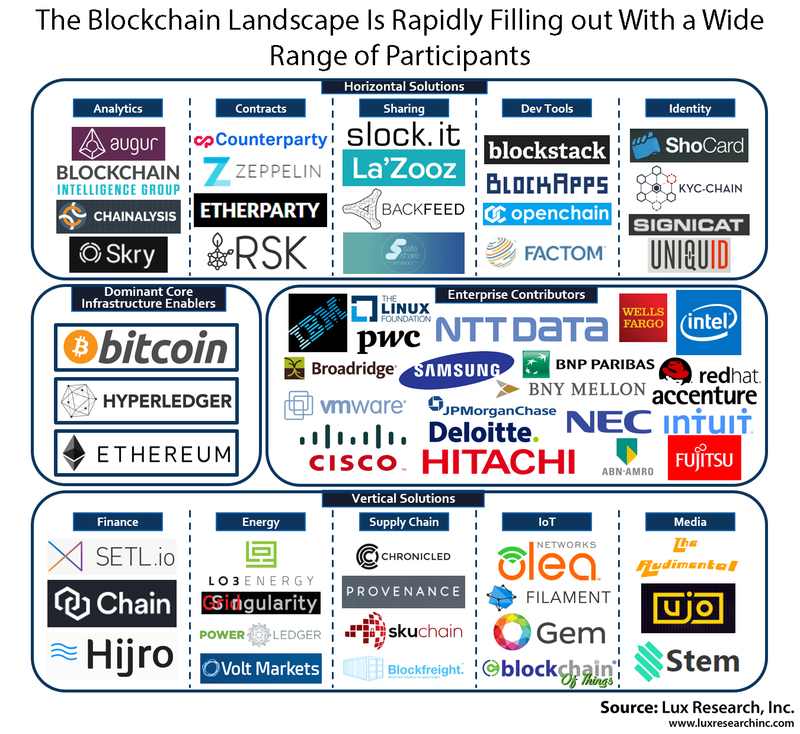 There are few real blockchain experts and finding talent to build a proprietary and secure blockchain can be challenging. Worse, smart contracts can end up looking stupid if they're not written carefully -- for instance, when nearly $60 million was stolen in TheDao hack. Also, blockchain's regulatory and legal implications remain unknown even in finance, not to mention other tightly regulated sectors like health care and power. Power applications are already in action. Peer-to-peer energy trading networks worldwide are building on blockchain for its settlement capabilities, while new blockchain-based systems for registering and trading renewable energy credits are beginning to emerge. Blockchain may also find applications in wholesale electricity transactions, where it streamlines complex processes. The report, titled "Beyond Finance: Blockchain's Impact on the Power Sector," is part of the Lux Research Industrial Internet of Things Intelligence and the Distributed Generation Intelligence services. Download a report excerpt. To hear more on the subject, register for the Lux Research complimentary webinar, "Blockchain beyond Finance: Power, Supply Chain, IoT, & Much More," on February 14, 2017 at 11:00 EST. 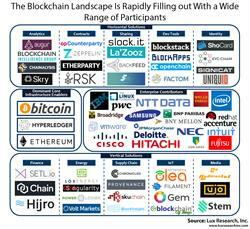 The Blockchain Landscape is Rapidly Filling out With a Wide Range of Participants.